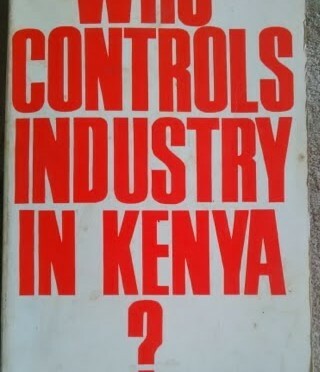 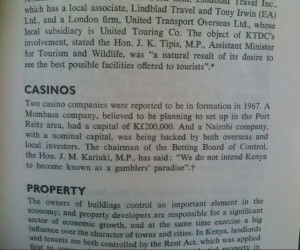 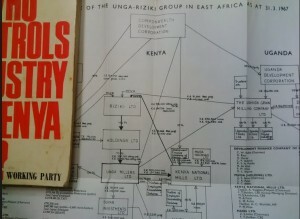 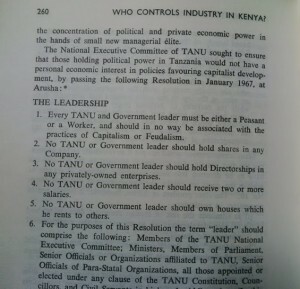 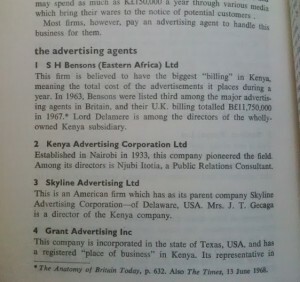 Over the holidays, I came across a fascinating book on Kenya’s economic history that was published in 1968, as a report of a working party set up by the Department of Christian Education and Training of the National Christian Council of Kenya. 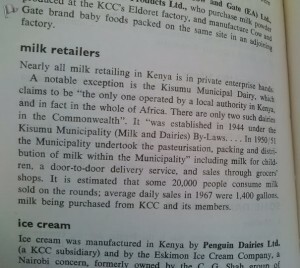 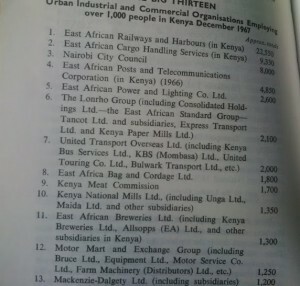 It’s a snapshot of another era when the East African Railways & Harbours was the largest commercial employer and the Kisumu Municipal Council was a milk processor. 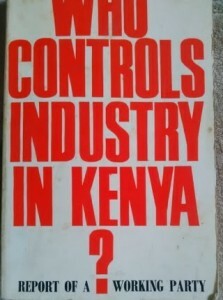 – and it shows early signs of conglomerates, and the influence of policy and politics that would shape Kenya’s industry in future years. 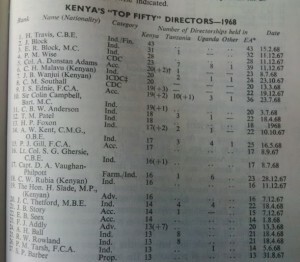 This entry was posted in Investing in Kenya, kenyamoneyinthepast on February 5, 2014 by bankelele.